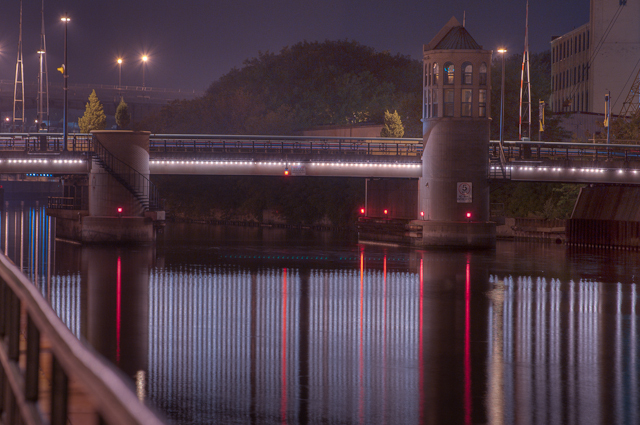 Just the right amount of light, a flat water surface yet a breath of wind to move the reflected light just a bit. 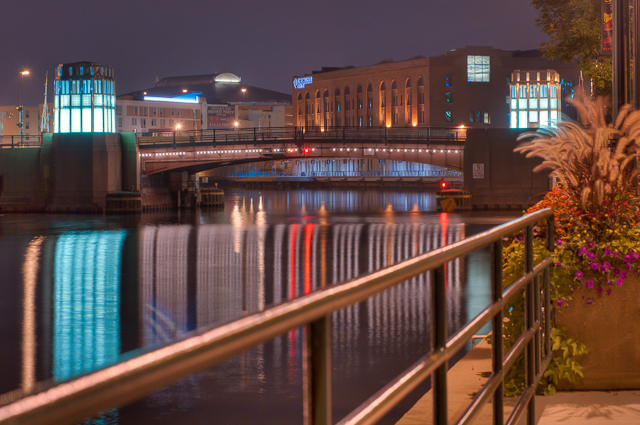 Earlier this year I posted a photo of the Cherry Street Bridge over the Milwaukee river. The winter scene in B&W was about the shades of gray reflecting from snow, ice and metal. Now the scene changes as the summer allows more vivid reflections from the shimmering water of the river. Nice revisit to great winter pics. These stand on their own as great set of night shots. Love the one with flower box in right side…..